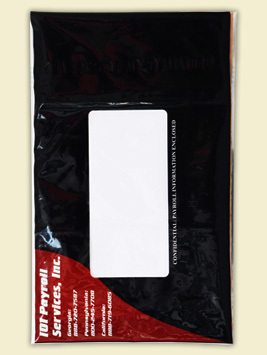 PolyPak payroll bags assure that payroll checks arrive at their destination and to the appropriate person in that organization. 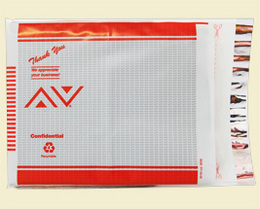 Our secure payroll bags ensure privacy for the employees and are made of PolyPak’s very strong, clear “V”Zuh™ printed for excellent opacity. 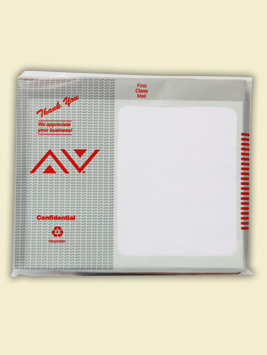 We also include a clear window for shipping and delivery instructions, with a SureSafe™ closure is that is quick, strong and requires the plastic security bag to be cut open or opened with a special tear off perforation.